Are you ready to start your house hunt? Military buyers, I can't stress this enough, read this before you make an offer. Buying a home, even if it's not your first, can be overwhelming, especially if it's part of a military move. I've worked with a ton of military buyers (and sellers). Oak Harbor is a military town. I was a military wife. Here are my top 3 tips for you military buyers out there. You don't have to use a military bank to get a va loan. First things first, a VA loan is a loan guaranteed by the United States Department of Veterans Affairs. It offers you a 0% down way to purchase a home. Most members of the regular military, veterans, reservists and National Guard are eligible to apply for a VA loan. But do you have to use a military bank like USAA or Navy Fed? No. Any local lender can offer you a VA loan. Using a local lender can make your transaction smoother. When you get a loan with the big military banks, even if we have a branch in town (like Navy Fed for example), their mortgage department isn't local. When you have any questions, you are stuck calling a call center, waiting for the next available representative, etc. You won't be talking to the same lender every time. Your realtor won't be able to talk to the same lender every time. When you use a local lender, you are dealing with 1 person. Your lender. You form a connection with them. They care about whether or not the deal closes. Plus they're available not only via the phone, but in person as well, which can be a huge deal if you have ANY issues with your loan. having a pre-approval letter from a local lender can give you an advantage in a multiple offer situation. We are in a crazy market right now. Inventory is low so we come across a lot of houses that end up in a multiple offer situation. You want to make sure your offer is a strong as it can possibly be. When you go with a local bank for your VA loan and you include your pre-approval letter with your offer, it can be a huge advantage over a similar offer with a VA loan through a non-local bank. Realtors know that local lenders, especially if it's someone they've worked with before, can close the deal with less hiccups. Not only will they prefer to work with lenders they know and trust, they will tell their sellers as such. Not all local lenders are created equal. Don't be afraid to shop around for the best rate AND the best customer service. "Your lender is an important part of your team you'll put together for your home purchase." 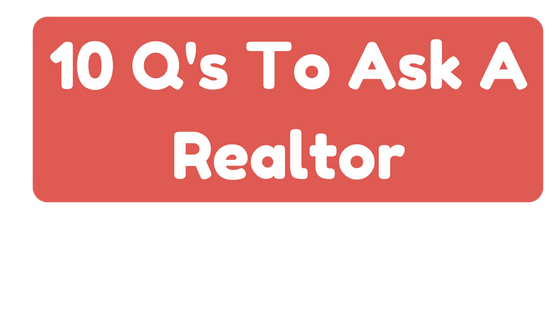 How Do I chose a Realtor? Picking out a real estate agent can be overwhelming. You want to find someone who you like, but who will get you what you want. How do you find them? Check it out. If you have any questions or you need some recommendations for local lenders to interview, let me know! I'd be glad to help.